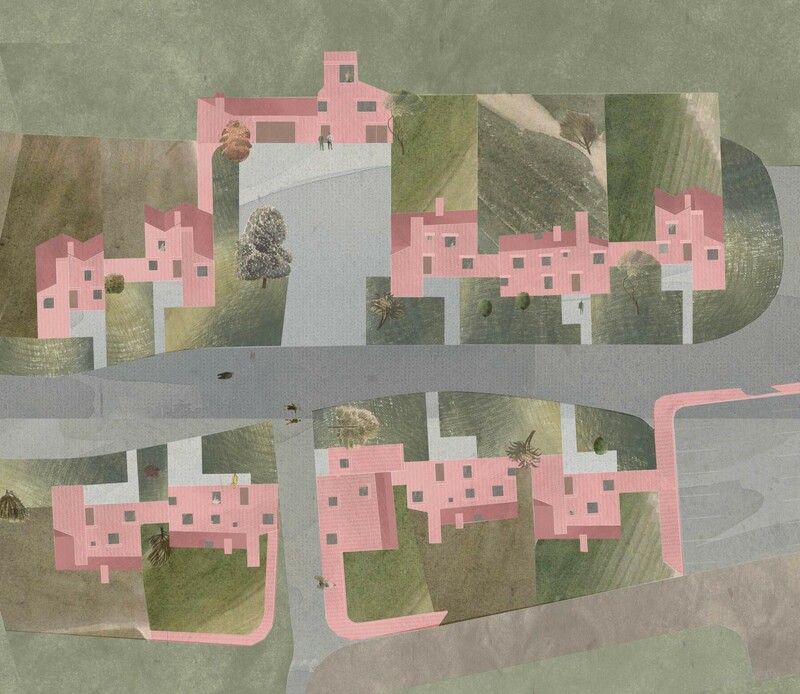 This Passivhaus cohousing development creates ten sustainable homes on the edge of Aylesbury, Buckinghamshire. The homes will be designed to exacting standards for low energy in use and built with a carbon-negative, cross laminated timber (CLT) structure to minimise embodied energy. Our design is inspired by George Devey, an architect working in Aylesbury in the Victorian period. 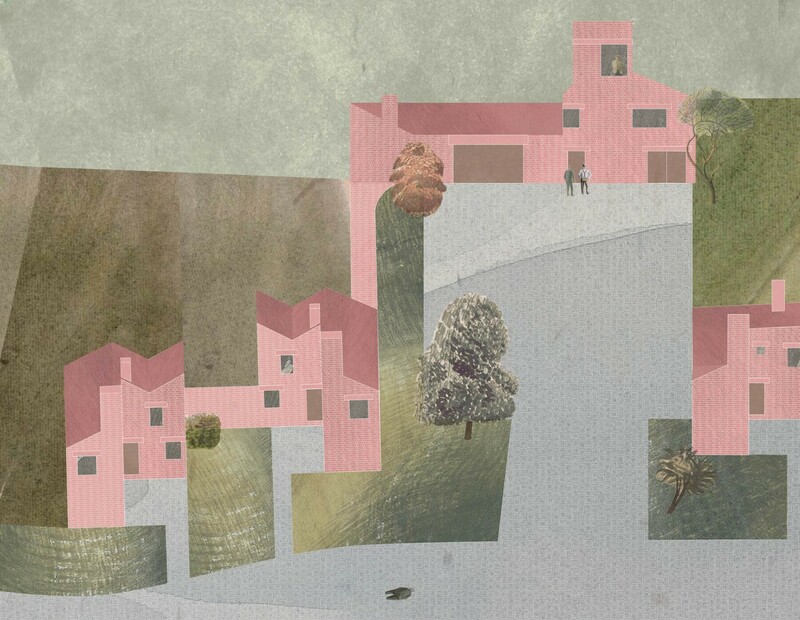 Devey favoured a romantic style, creating playful collages of Tudor, Gothic and Victorian architecture. 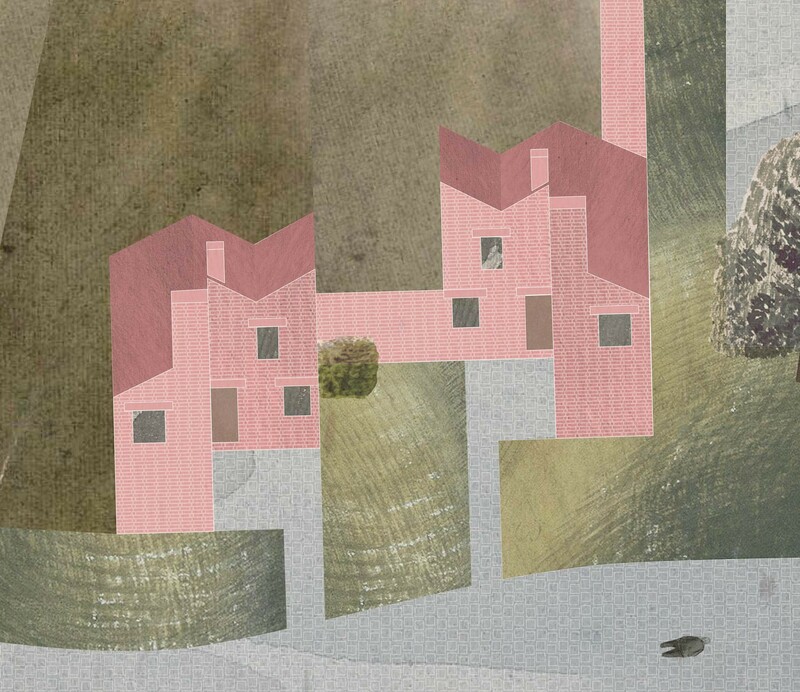 In the spirit of Devey’s idiosyncratic collages, our homes celebrate vernacular styles and materials. The new architecture hints at history, ruin and rebuilding. Slightly angled roof ridges imply differential settlement over time, suggesting a building rooted in its place. Large polished concrete lintels are finished in a terracotta hue to match the handmade brick. Exposed, oversized lintels above windows reflect those of the surrounding agricultural vernacular. Facing the communal sunken pathway, exaggerated chimney stacks peak above the surrounding roofscape. Outside, the projecting stacks create a quiet corner to the entrance of the home, offering privacy and a sense of ownership within the communal grounds. The fenestration and facade compositions are asymmetrical, referencing a country farmhouse that has been extended over the centuries.